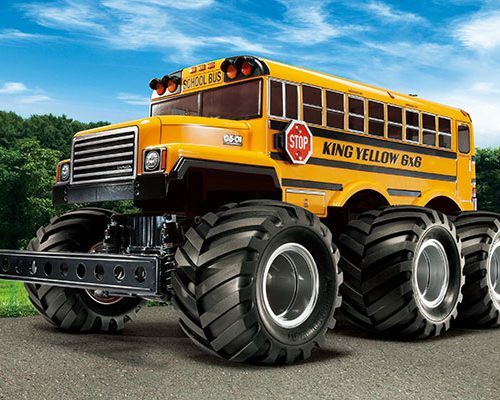 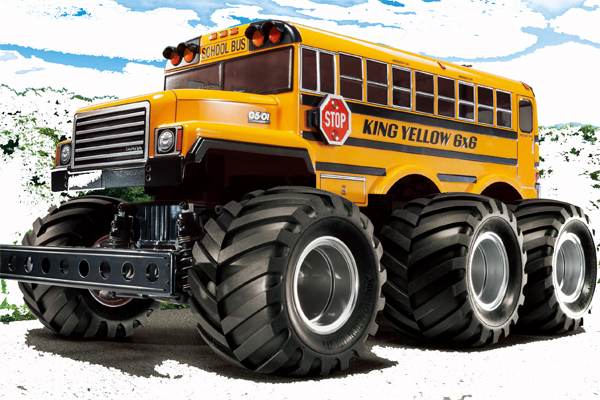 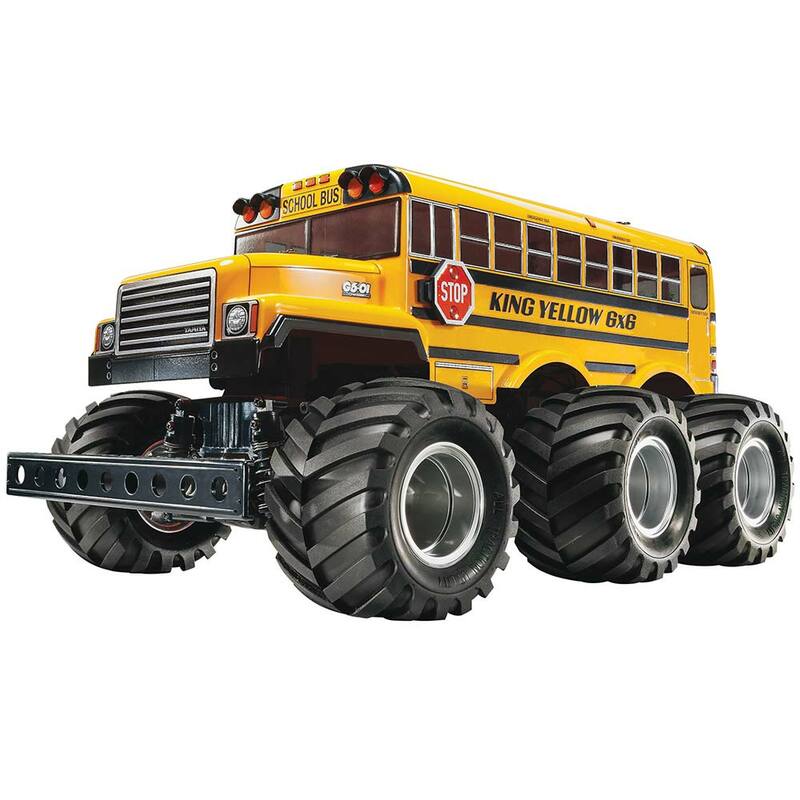 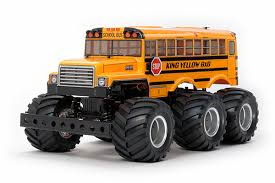 The King Yellow is a 6×6 six-wheeled R/C vehicle ready to pound dirt, asphalt lots, and neighborhood streets across the country. 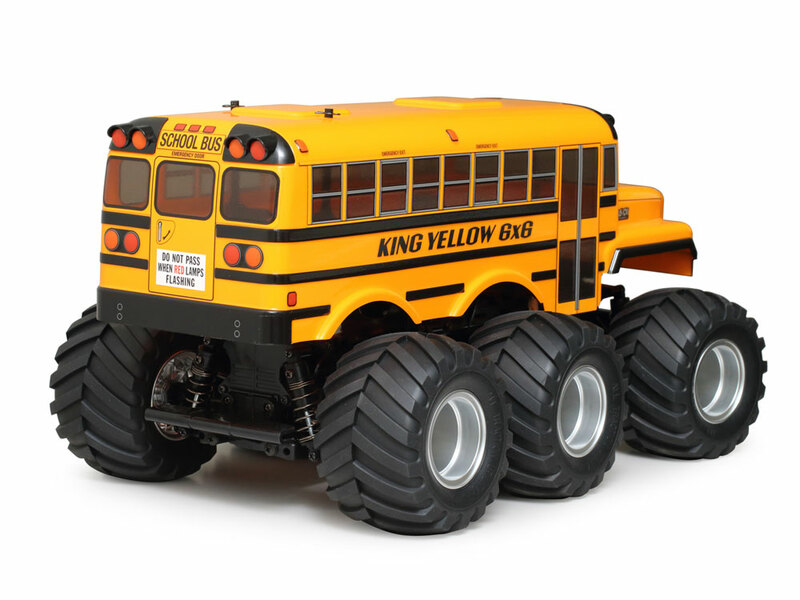 It is the second kit of the series, where the Kong Head first made its appearance. 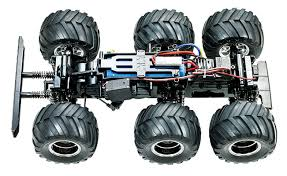 The model utilizes a gear-driven 6WD chassis which is partially derived from the capable Tamiya GF-01 wheelie machine. 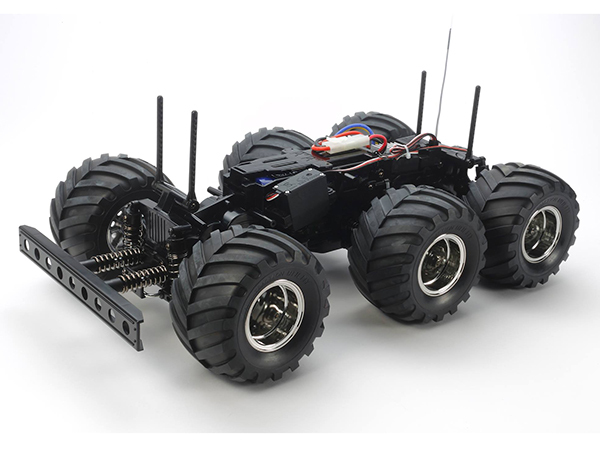 The exceptional drive it provides will make for extreme fun while off-road driving. 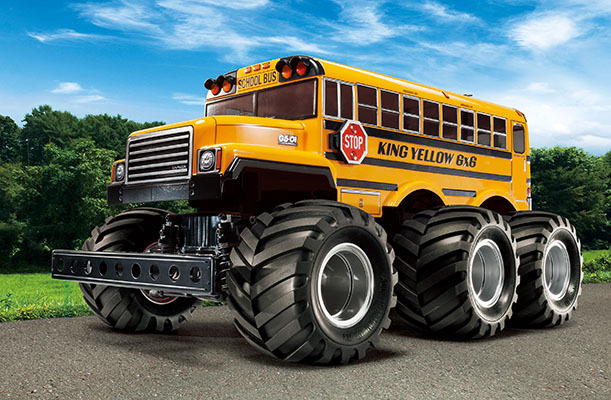 Furthermore, its powerful gear-driven setup allows the King Yellow to take on slope inclines of up to 40 degrees. 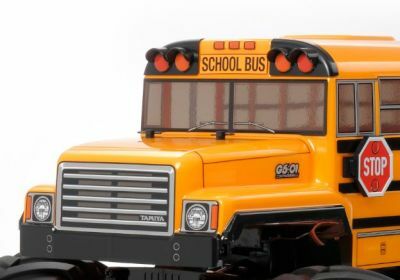 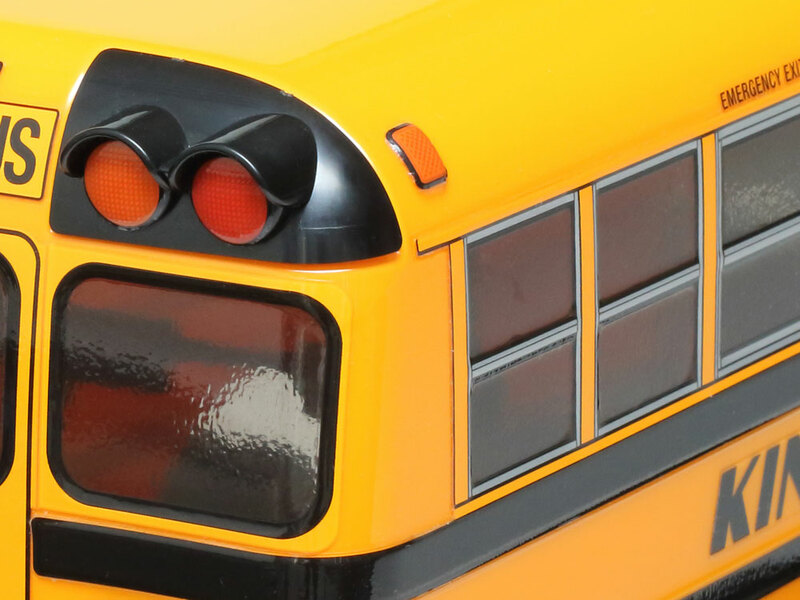 The polycarbonate body is inspired by school buses. 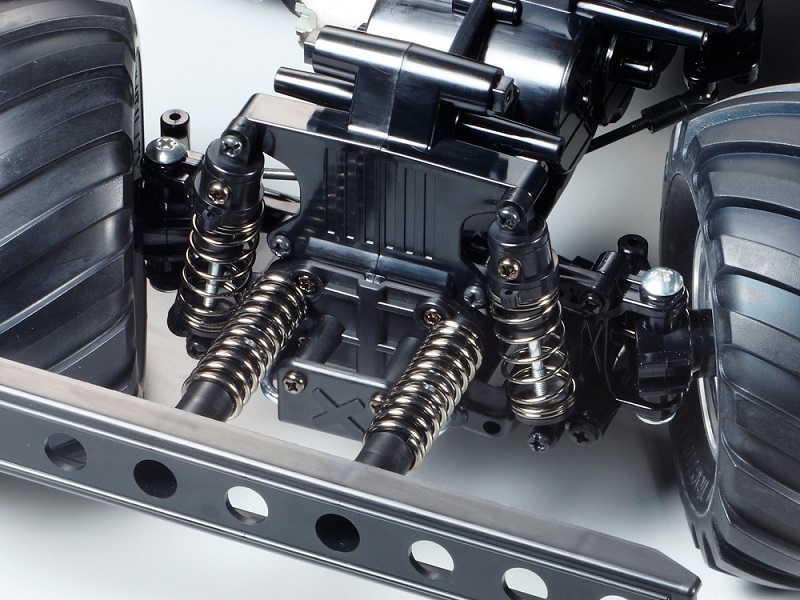 It includes separate parts to complete the vehicle’s intricate details.